How many times have you contacted a business for a quote and they didn’t get back to you? Or you waited an hour at the doctor’s practice for your appointment? Or your supplier forgot to tell you that your order won’t be there on time. Poor communication is one of the main reasons businesses and relationships fail. Only to be told that the room I had specifically booked as an early check-in, wasn’t ready! I patiently explained that when I confirmed an early check-in the day before with Michelle (I always ask for names), she assured me that it wouldn’t be a problem. The receptionist on duty clearly also wasn’t happy to be there that morning. She gave me an incoherent excuse, a half-hearted apology and I was informed with a dismissive look that the room won’t be ready for another two hours. I know myself when I’m hungry, tired and hot so I took a few deep breaths and decided to make the best of a worst situation. It was my first time in Singapore, so I decided to explore the area and get a decent breakfast to shorten my wait. Back at the hotel two hours later at 10am, I was informed that the room now won’t be ready till noon. I have to admit… I made a scene. I demanded to see the manager (which I should have done in the first place) and a room magically became available 20 minutes later. As I gathered my bags, I heard a nearby couple complain that their room wasn’t ready either and I saw at least two other groups of people hanging around in the lobby playing the waiting game. It seemed that whoever put up the biggest fight got the next room. Think about it… How would this experience make you feel? // Would you use this hotel again? // Would you recommend it to friends, family, colleagues or clients? // Would you feel that this hotel took pride in their operations + valued their customers? Businesses need to remember that customers have more choice than ever before and they’re not afraid to vote with their feet, their wallets or their social media reviews. It’s a death knell to your business when you or your under-trained staff communicate poorly with your customers. Whether it’s in person or via email, effective communication serves as the very bedrock of business. It can sway public opinion, give teams a sense of purpose, persuade shareholders to invest and boost your project success rates. 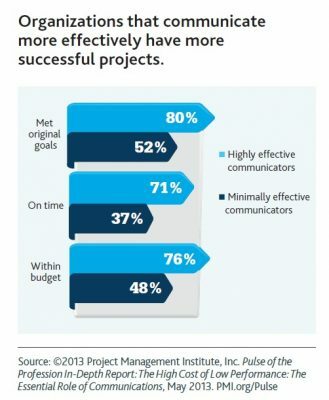 According to PMI’s Pulse of the Profession™ In-Depth Report: The Essential Role of Communications companies that communicate more effectively have more successful projects. 76% delivered their projects within budget. The companies with poor communication skills trailed dismally behind, with only 52% meeting their goals. Only 37% delivered on time while 48% delivered within budget. Bad communication has a domino effect that very few business owners consider when they choose not to update their customers in terms of timeline changes, delays or bottlenecks. The long terms benefits of a happy, loyal customer will always outweigh the short term discomfort of having the uncomfortable conversation. Your business’s livelihood depends on you and your team getting it right. At the hotel in Singapore, I was promised an early check-in when I phoned the day before arrival. Now perhaps Michelle (in the office) honestly thought that the room will be ready or maybe she felt too uncomfortable saying No while having me on the phone. Either way, the promise was a room on arrival (over-promise on their side) and the reality was no room when I got there (under-deliver). It’s the same when starting a new project with a client. Set out and agree project timelines and milestones with your client right at the start, and be realistic in your expectations of yourself and your suppliers. Don’t be over ambitious as it’s best to deliver a project on time or even early, rather than letting it run over. If there are any delays or bottlenecks communicate it early + often. Here a mapped out business processes will help you save face and save you a great deal of frustration. Manage your customers’ expectations by being open + clear about what can and can’t be done in certain time frames or what the situation is really like, rather than over promise and under-deliver. They might be disappointed today but they will respect you + your business in the long run. It leaves a bad taste in your customers’ mouths when they feel that they or their business is not important to you. This goes back to business processes and good staff training especially for your front office staff. Everyone has a bad day, but it should never be taken out on your customers. The receptionist at the hotel was in a bad mood and that’s possibly because she had to deal with several angry customers before me who were also promised a room on arrival and then didn’t get one. insufficient training for the receptionist in how to effectively deal with customers and not having a process mapped out to follow when dealing with disgruntled customers. But getting angry at the customers and treating them with disdain is NOT the answer. Business reviews + testimonials are the lifeblood of your business, and customers want to feel valued + respected before they’ll give a glowing business review or choose to remain loyal to a business. Everything you do in your business from the amount of training you give staff to how well they can communicate or manage expectations have a huge impact on customer relationships and whether customers will sing your praises or not. Show your customers that you take their needs and expectations seriously and appreciate their business from the get-go. That way in the event that things go wrong (and they do tend to go wrong), you’ll have a strong foundation to work from. At 8am I was told that the hotel room will be ready in two hours but when I went back at 10am, the goal posts have been moved again to noon. I’m sure you can see just how infuriating this will be for any customer. Given that we started off on a bad foot you would think that the hotel would now do everything in their power to rectify the situation + try and wow the customer. The moment they realized that the room won’t be ready on time (the promise), they should have called me or sent me a text to communicate this. // I could choose to go back to the hotel but my expectations were managed. Instead they did nothing, which meant I got back to the hotel to be angered + disappointed again. Can you blame any customer for making a scene at this point? On client projects, you might feel that you don’t want to send updates or clutter up inboxes before you have ‘good news to offer’ but in my experience when it comes to updates, customers always want more communication than less. At the start of a project, schedule project milestones + regular updates so everyone knows what to expect. The hardest part might be sticking those agreed updates when things fall behind or setbacks need to be communicated. It’s also important to document any changes (good or bad) in writing and then follow it up with a phone call. A paper trial can come in very handy when there are disputes about services and what has or hasn’t been delivered by when. Friendly check-in calls every couple of months are also welcomed and will keep your front of mind. Effective communication instills trust, loyalty and respect. It builds strong relationships between parties and shows that you value your customers and put them first, and we all know happy customers = better business, so make your customers happy. 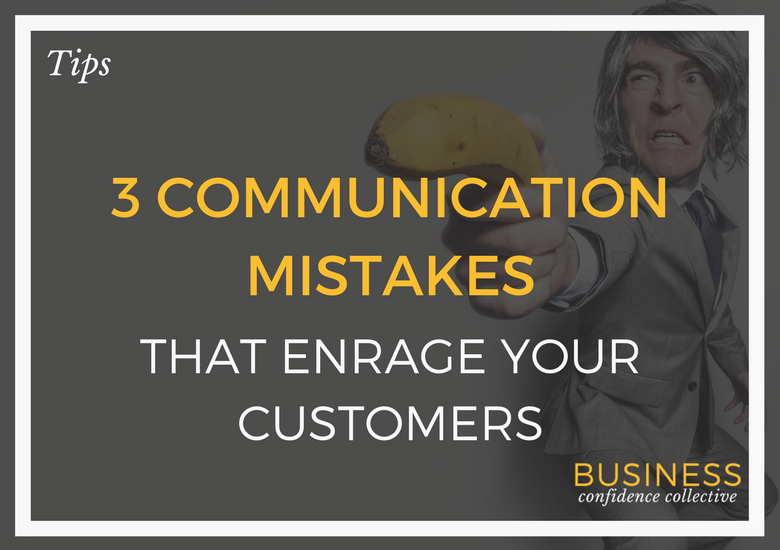 What is your biggest pet peeve when it comes to bad business communication? Leave your comment below. Author: ALICIA MENKVELD Creator of: BUSINESS CONFIDENCE ACADEMY Alicia Menkveld, an award-winning entrepreneur for the last 16 years, loves to travel and lived on three continents to date. She is an international speaker, author and a trusted adviser to successful business owners and leaders. 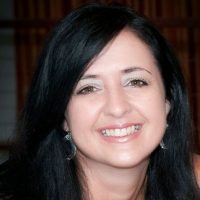 Alicia is an authority on business strategy, mindset and effectiveness for individuals and teams. Design your business to live the life YOU want. ON A SCALE OF 1-10* HOW HAPPY ARE YOU WITH YOUR BUSINESS RESULTS? Score your business against the 7 Signs of a High Performing Business to pinpoint problem areas. Learn how to optimize your business to improve your revenue + results this quarter.